PaperCut MF - print, copy and scanning control for OKI MFDs. The perfect combination for affordable print and copy control. Save your budget by preventing excess and unauthorized printing, copying, scanning, and faxing. PaperCut MF increases security and prevents print abuse. Day-to-day IT intervention is minimized by providing end users with a set of web tools to query account balances and view their own transactions in real time. Get it up and running in less than an hour. PaperCut MF's server software is easy to set up with with minimal technical resources. 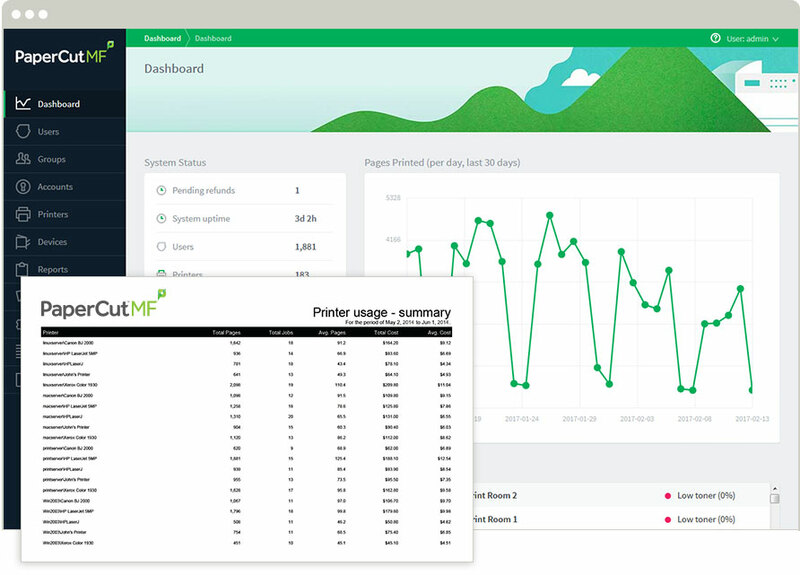 OKI, an approved Integrated Technology partner for PaperCut Software, have developed a solution for newer OKI MFDs* that connects to PaperCut MF. 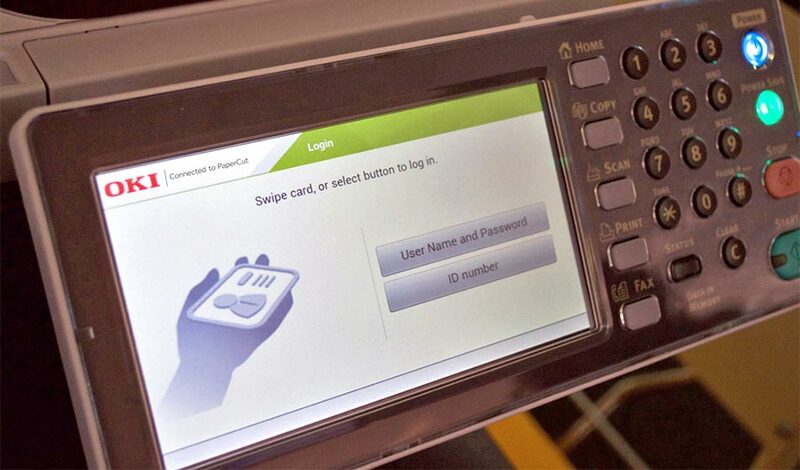 The software provides device access control, copy tracking and print job release via your familiar OKI touchscreen. There are differences in OKI's integration compared to PaperCut's embedded solution for OKI's current models. Please refer to the installation documentation available from your PaperCut MF supplier or OKI's support center. Licensing for both types of OKI embedded solutions requires a license for each device. * Applicable on OKI's integration with PaperCut MF on OKI (sXP2), see models below for details. Your OKI device should be updated with the latest firmware. If your device has older firmware running on it, contact your OKI supplier for an update. PaperCut MF with an OKI Connector license is available from your PaperCut or your OKI supplier. Corresponding models don't support Identity Number authentication. Please note that there are regional variations in model numbers so please check with your local OKI supplier.